Have stuff to sell? 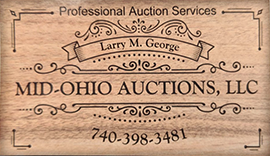 We offer a full range of auction services from consignment, estate, property, and fundraisers. Looking for an auction to attend? This page will show you everything we have scheduled. Have a question? Need to send us a file? User our quick and easy contact form!